Aquatic organisms can play a role in explaining events surrounding the presence of human remains found in a water environment, according to a University of Western Australia expert. UWA Centre for Forensic Science forensic biologist Paola Magni says aquatic organisms can help to determine how long human remains have been in the water and the cause of death. "A crime scene may occur in a water environment as a result of natural causes, homicide, or mass disasters," Dr Magni says. 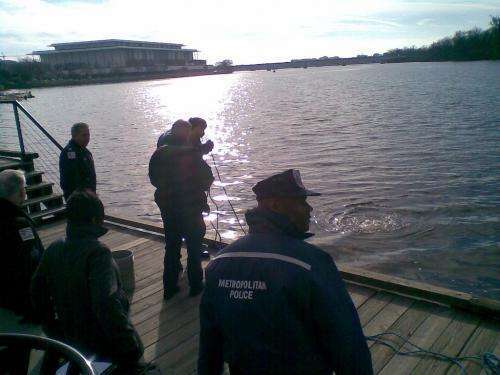 "But only a few studies exist in regard to crime scenes in an aquatic environment and only a small number of experts have the training and the expertise to investigate such cases." Dr Magni says the identification of the time-since-death of a body submerged in water has become one of the most difficult dilemmas facing forensic experts. She says the identification of organisms that colonise the body during death can help experts determine how long the remains have been floating, as well as its origin within the water environment. "Floating remains can be colonised both on the surface exposed to air [generally by adult insects that lay eggs or larvae on them] and on submerged parts of the body [by insects and other arthropod larvae which use the remains as shelter or a food source]," she says. Dr Magni says detecting the presence of diatoms or bacteria in internal organs such as the heart, brain and bone marrow can help to determine a cause of death by drowning. "If drowning occurred in freshwater or saltwater, chemical compounds and water microorganisms [diatoms, bacteria] diminish in the left side of the heart as a consequence of the absorption of water from the lungs into the circulation [system]," she says. "Furthermore, in seawater, haemoconcentration [decrease in plasma volume, increase in red blood cell volume] is found because of the loss of fluid from the blood into the alveolar spaces. "This takes place in order to establish the osmotic equilibrium altered by the diffusion of salts from seawater into the bloodstream." Dr Magni says a large presence of aquatic or semi-aquatic organisms in a particular part of the body can also suggest the presence of a wound that could be one of the causes of death. She says it is important that aquatic organisms continue to be studied in forensic science so cause of death in a water-based crime scene can be reached more efficiently.